Three more classic games are on their way this month! It’s that time of the month again, where Nintendo brings some new NES classics to their Nintendo Switch Online service. Ninja Gaiden, Wario’s Woods and Adventures of Lolo will all be joining the classic line-up on December 12th 2018. 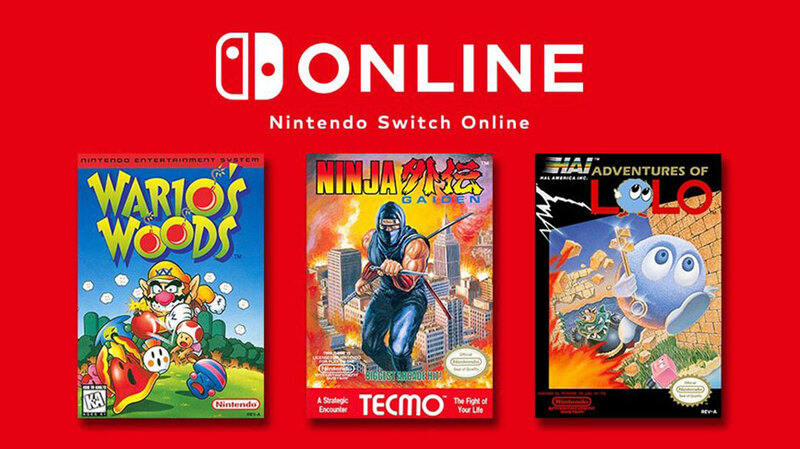 All three games will be available to Nintendo Switch Online subscribers and, once released, can be downloaded for free through the included Nintendo Entertainment System app. In Ninja Gaiden (A.K.A. Shadow Warriors in Europe), players assume the role of a ninja, Ryu Haybusa. As Ryu, you’ll fight through 6 side-scrolling chapters, battling street thugs, evil ninjas and barbarian bosses in an attempt to avenge your father’s death. Ninja Gaiden has since seen multiple sequels across many platforms and console generations. Wario’s Woods is a falling block puzzle game that bears similarities to Tetris, Dr. Mario and Yoshi. You’ll need to control toad as he rushes to pick up monsters and bombs and arrange them to clear the screen. With multiple modes including basic, lesson and time race, there’s plenty here to whet your puzzling appetite. From developers HAL Laboratory (of Kirby and Smash Bros. fame) comes Adventures of Lolo. First launching in 1989, this environmental puzzler has players moving blocks, besting enemies, and collecting hearts as they make their way through 50 individual rooms. Previous months seen modified versions of The Legend of Zelda and Gradius make their debut but we’ll have to wait and see if Nintendo has a “special” version of a game in store for Switch Online subscribers on December 12th. Uncover hidden illustrations in the latest Picross S title. Fortunately, this game wasn't snapped out of existence.